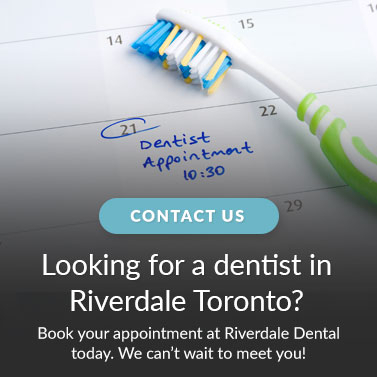 Dr. Dara Lee at Riverdale Dental in Toronto provides gum treatments for patients looking to restore receding gums. This procedure may be necessary to protect your teeth from the damaging effects of gum recession. You may also decide to have gum graft for aesthetic purposes. Like every medical procedure, there are always risks involved and success depends on a number of factors, including proper follow-up care. Let your dentist know if you experience any unusual symptoms following the procedure.